Missouri Education Watchdog: Kindergarten Hijacked Due to Common Core Standards? Early Educators Warned About This Three Years Ago. Kindergarten Hijacked Due to Common Core Standards? Early Educators Warned About This Three Years Ago. Is this mother showing evidence of the meltdown of kindergarteners due to Common Core aligned curriculum? Does this curriculum align to the Common Core standards that approximately 500 early childhood educators and experts determined were detrimental to young children three years ago? Documents were presented to the Department of Education three years ago. 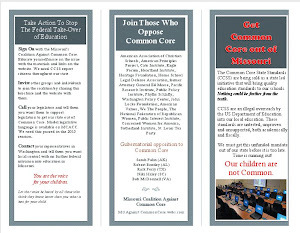 Why don't you see this information on the Common Core State School Initiative's website? Why aren't the pro-Common Core proponents informing parents, taxpayers, legislators, school boards, districts, etc that five members of the validation committee refused to sign onto the standards? Why is dissent of the standards from professionals ignored? 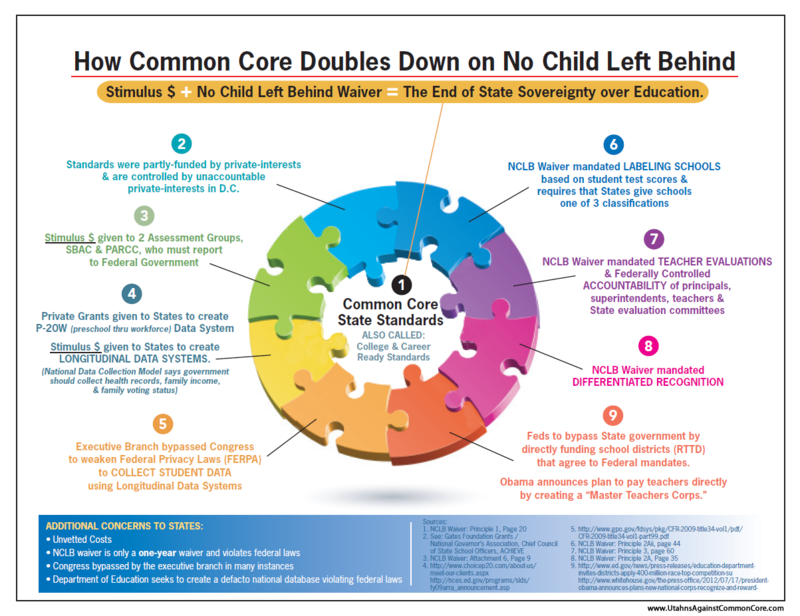 Even if the CCSS lobby won't tell you the truth about the adoption/implementation of the standards, you are able to see the results from the students. 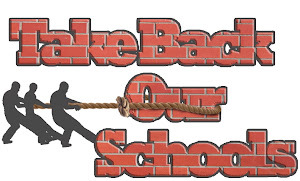 Are we seeing a generation of students detaching from school? I have said for years that any teacher teaching the proper material with no standards other than to see her students do their best will never have to fear any test taken by his/her students. If schools teaching reading, writing, arithmetic, history, a foreign language, and social studies. At the proper level and in the proper amounts they and their students will never have to fear any test given them. I don't understand Anonymous' trust in tests. And with the onslaught of computerized testing, no handwritten record will be available for parents to double check. Also, how schools teach reading, writing, arithmetic, history, a foreign language, and social studies...at the proper level and in the proper amounts ought be determined locally but is no longer and is further burdened by the increased amount of testing time/decrease in learning time. I agree with Robin the testing certainly takes away from the actual learning and teaching time. Children of this age really need encouragement and an avenue that they can do it. This Common Core will completely turn some kids off of learning. I will stand up against this federal takeover and My prayer is others will also. I am going to the school board in my area and ask for a special session and invite parents and public. If they won't do it I will find another way.